There are hundreds of thousands of apps in the App Store and many of them go on sale every day; AppTerrier is here to help you find the best apps and great deals on those apps. With the focus of finding you quality apps at an affordable price (often times free! ), you can't really go wrong with downloading AppTerrier to your iPhone. 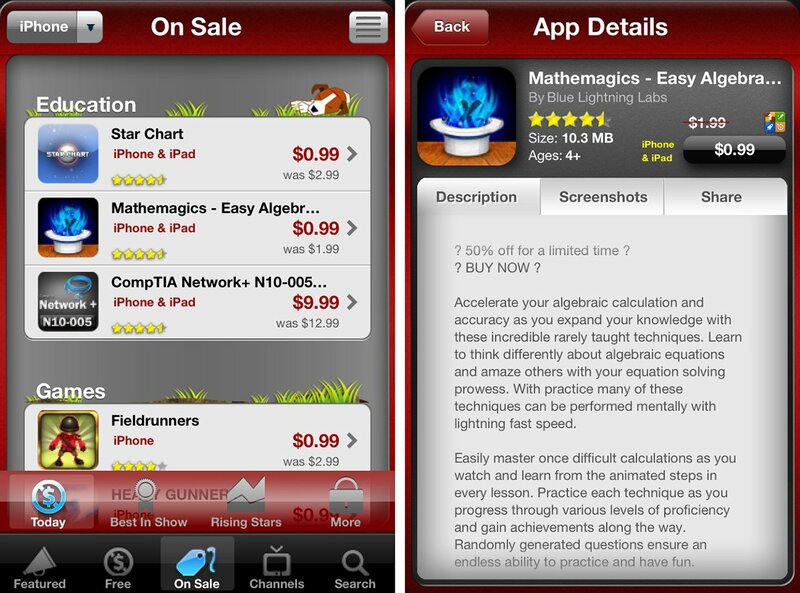 There are three main tabs in AppTerrier: Featured, Free, and On Sale. 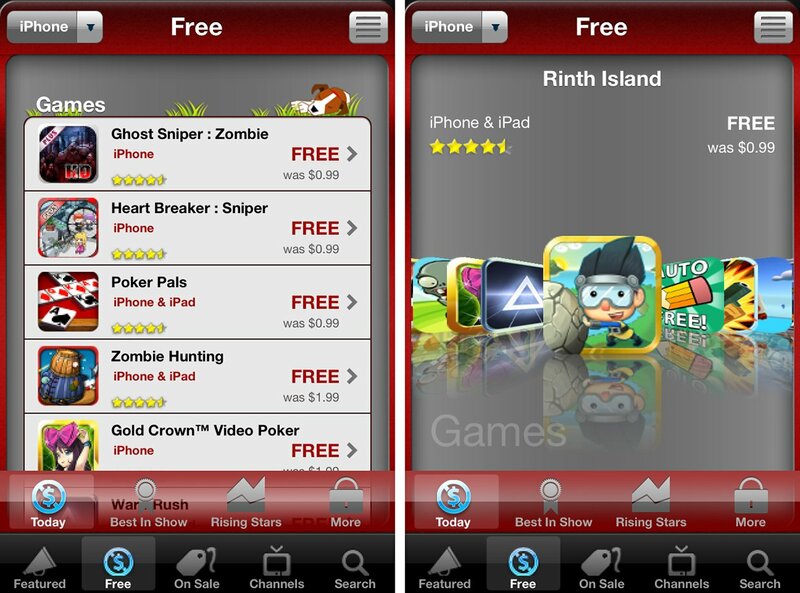 The featured tab will display apps that have been handpicked by the AppTerrier crew. They are displayed somewhat awkwardly as icons on a big canvas. I think a banner-look would be much more appealing, but this approach does get the job done. The Free and On Sale tabs in AppTerrier do display the apps in a list, but if you prefer, you can have them displayed in a cover flow style. As with the Featured tab, the cover flow view has a bit too much empty space for my taste. Both Free and On Sale have sub-tabs for Today, Best in Show, Rising Stars, and More. Each section is organized into categories, making it easy to search for specific types of apps. It's important to note that the Free tab isn't displaying apps that are simply free, but apps that are normal not free, but currently on sale for free. 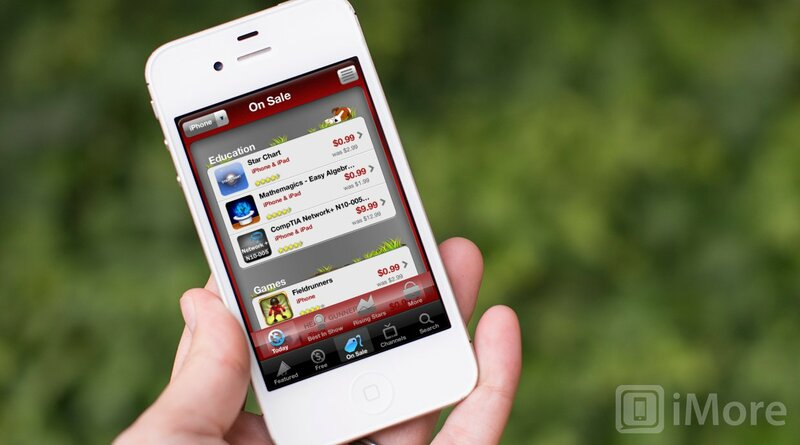 The regular price will be displayed with each app so that you know how big a bargain you're getting. The On Sale tab displays apps that are not free, but on sale. When you tap on an app, you'll be taken to a screen that displays all the app's details such as the price, it's star rating, the developer name, it's size and age category, a description, screenshots, and options to share to Facebook Twitter, or Email. If you tap on the price button, you'll be taken to the App Store to download. Most of the graphics are surprising not Retina-ready (even though the description in the App Store says it features Retina Support), but it's something I'm willing to get over it since AppTerrier does do a great job of finding apps. Also, even though AppTerrier lets you browse through iPhone and iPad apps, it's not a universal app for both the iPhone and iPad. If you use AppTerrier on your iPad, you'll have to use it in 2x mode. It's a shame that the developers of AppTerrier have such a lazy approach to its design -- the content is great, but the presentation is terrible. Overall look and feel of the app isn't very good; gives the impression of being thrown together. 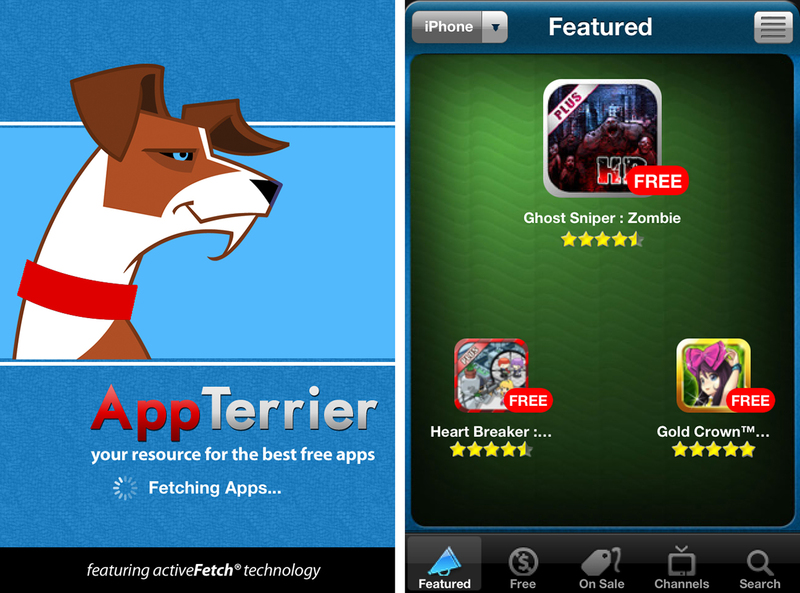 It's no secret that the App Store is horrible for actually discovering all the great apps that are out there, so using apps like AppTerrier is almost a must. What sets AppTerrier apart from some of the other similar apps out there is that it focuses on getting you a great deal. There are no ads, surveys, or spam, just quality apps at affordable prices. If you can get over some of its design flaw, AppTerrier is a great app to help you find apps.